Not only can Rich’s Plumbing, Heating, & Air Conditioning get you the lowest prices on the leading brand name heating and cooling equipment, we can help you determine the ideal systems, parts, and accessories for your home, budget, and environment, as well as provide professional installation and repair services. We carry a wide range of replacement parts, in addition to the highest rated energy efficient technology available today! 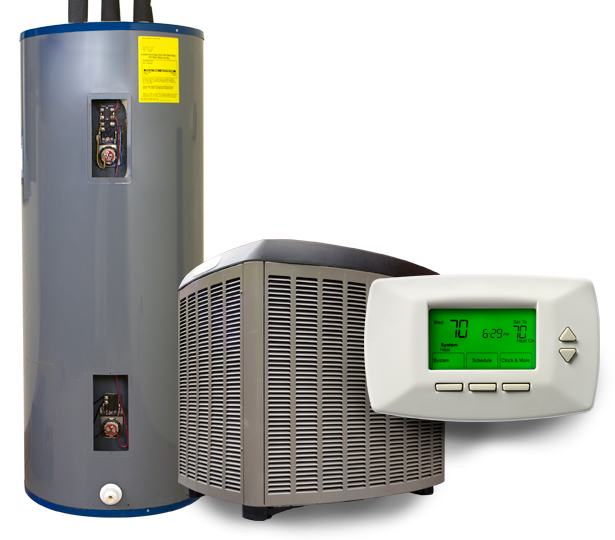 We understand that dealing with a broken water heater can be a huge hassle, that’s why we carry a comprehensive line of water heater systems and parts in order to provide New Jersey residents with the repairs and upgrades they need, when they need it! Are you tired of your outdated shower heads, faucets, sinks, tubs, or toilets? Updating your bathroom and kitchen fixtures can add a simple, luxurious touch that can make all the difference. Our licensed technicians are experienced in installing and replacing all types of home plumbing fixtures, including high-quality products from Grohe, Moen, and American Standard. Contact Rich’s Plumbing, Heating, & Air Conditioning today to learn more about how we can improve your kitchen and bathroom! We can help you get the lowest prices on brand name faucets and fixtures that can enhance any home, along with professional installation services with expert craftsmanship. Don’t hesitate, we’re available 24/7 to take your call!